Is Apple’s New CEO Gay? As NLGJA’s annual convention begins today in Philadelphia, the national news provides one of the enduring ethical questions when covering LGBT folks: when do we say someone is gay (or lesbian or bisexual or transgender)? From our very first convention where Andrew Sullivan and Michelangelo Signorile had a heated discussion over when to “out” someone, it is a question that continues to perplex journalists. After Cook was profiled as a “lifelong bachelor” and “intensely private” elsewhere, we wondered if he might be gay. We’ve since heard from two well-placed sources that this is indeed the case, and it sounds like Cook’s sexual orientation has been the topic of at least some discussion within the company. One tech executive who has spoken to multiple Apple management veterans about Cook was told executives there would support Cook if he publicly acknowledged his orientation, and even would encourage him to do so as he steps up his leadership role, but that they also had concerns about whether his coming out would impact the perception of the Apple brand. Not to be outdone, pardon the pun, in April Out magazine then listed Cook as the most powerful gay man in America. This is in keeping with Out’s tradition of including people in the “glass closet”, including journalists, on its power lists. So where does that leave other journalists? What we have is a lot of well-substantiated gossip. So is gossip enough to say that Cook is gay? There’s the million dollar question. 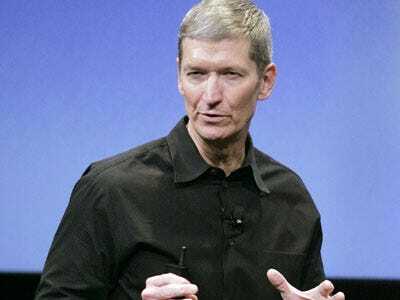 The LGBT media–including The Advocate, Dallas Voice, Windy City Times and Queerty— quickly took Cook’s advancement at Apple as a victory for gays, with headlines saying Cook was gay. The gay angle has also made it into the mainstream press, including Daily Beast and MSNBC. Many of the stories rely on the Out and Gawker stories, although it is amusing to read he is “openly gay,” which will come apparently as a shock to Cook and the reporters who cover Apple. This question of whether to label Cook as “gay” is the latest permutation of when to identify people as LGBT and when not to. Cook, like Elena Kagan and Judge Vaughan Walker before him, raises the question of what is “outing” in 2011 and is there really a problem with saying someone is gay based on rumor and gossip. On one side, there is the argument that if the information is reliable and the subject is privately–or even semi-publicly–out, then it’s important to identify people as LGBT because there is nothing to be ashamed of and visibility is important. On the other hand, all we really have is gossip–which is now viewed as hard fact–and not much else. But the story is out there and both Gawker and Out are reputable enough to assume they aren’t just peddling in idle rumor. The weasel approach–and I’ve used it myself–is to quote the sources that have identified people as LGBT and let the reader make up their own mind. It’s a bit of a cop-out, I admit, but it is an approach that at least provides documentation and puts it in the hands of the reader. So what should we make of the Cook stories? Should stories identify him as gay?